Seabee series, reworked in Black and White for theme of Mystic Art Museum's Winter show. Accepted and displayed. 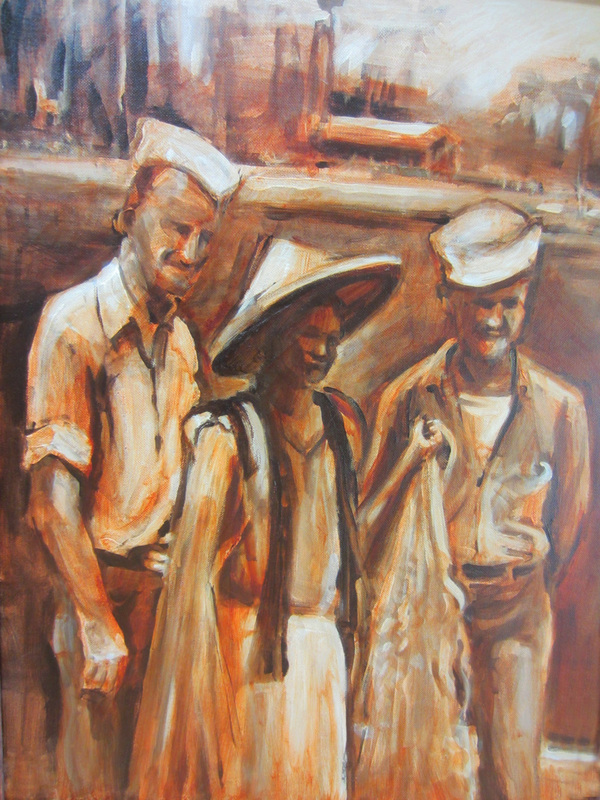 Shipmates of Rudy Slazyk, April 1945, U.S.S. Basilan in Ulithi Atoll. Shipmates of Rudy Slazyk, April 1945, U.S.S. Basilan at Mog-Mog Island Recreation site built by seabees in Ulithi Atoll. Seabee Rudy Slazyk, December 1944. Tour of duty in the Pacific aboard U.S.S. Basilan, 1945. Accepted and displayed in Art Guild of Rhode Island's "Support and Defend" show, April 2016 at the "Vets" in Providence, RI. 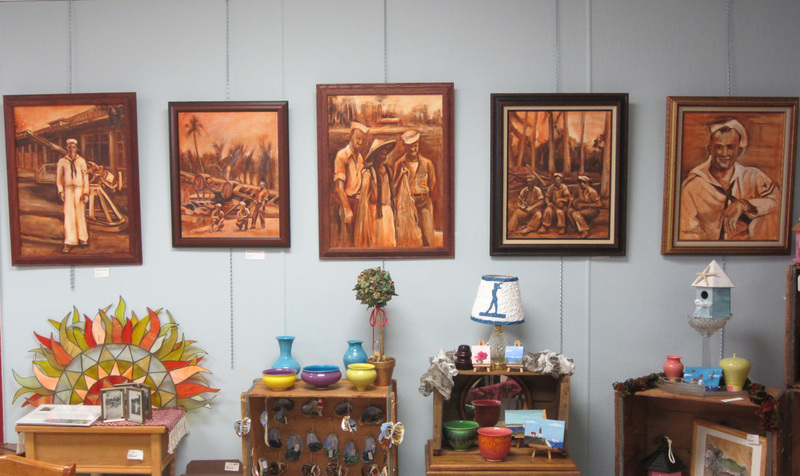 Shown together for the first time, December 2014 at the New England Farm and Artist store in West Warwick, RI.